Every year in between the NRL mid-season break and the commencement of the State Of Origin series, a one-off test match is played between New Zealand and Australia. Originally it was known as the ANZAC Test, but since 1999 it was officially referred to as the Trans-Tasman Test. The reason for this name change is due to sensitivity regarding the word ANZAC, which is protected in Australia, and requires permission of the government to be used. The reason the permission was withdrawn in 1999 was due to controversy around the use of a term that has such historic poignance and significance in both Australia and New Zealand being used to refer to a rugby game. However, with 2015 marking the 100th Anniversary of the Gallipoli landings and ANZAC day, the powers that be in Australia have given permission for the ANZAC name to be used once again in a tribute to the servicemen who fought and died in that bloody campaign. 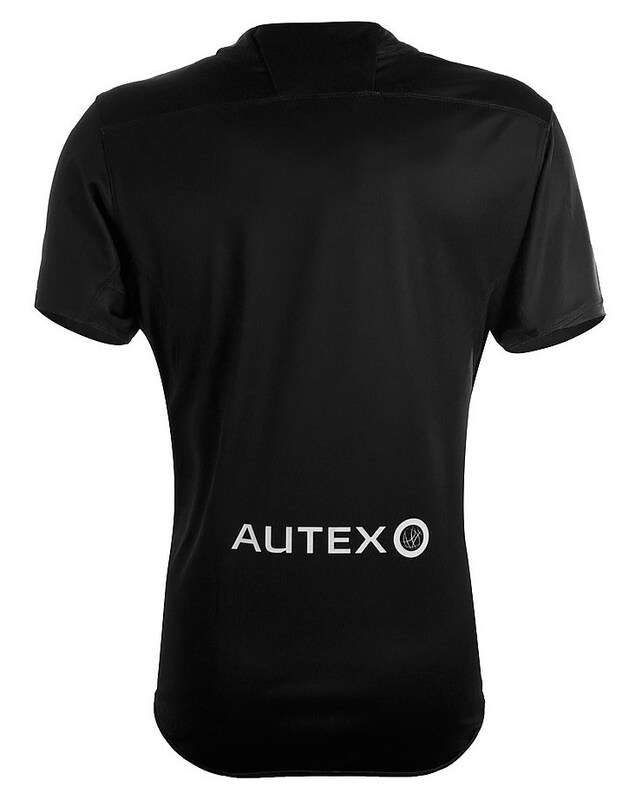 As a result of the special significance of this test, BLK has produced a one-off shirt that the New Zealand Kiwis will wear on the day, and it’s an exercise in restraint and simplicity. 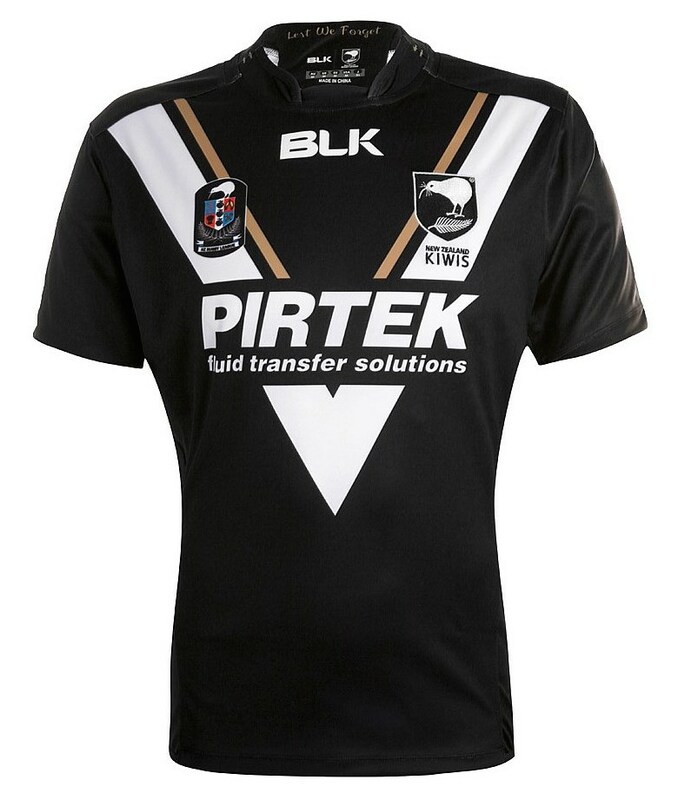 Building on the basic theme of the regular Kiwis shirt, with its clean black design and striking white chevron, BLK has added a simple gold accent on the inside of the V, and added ‘Lest we forget’ – a line from Rudyard Kipling’s poem Recessional, which is so often used alongside the Ode Of Remembrance at ceremonies marking the fallen in Commonwealth countries. BLK have often created weird and wonderful one-off designs for special occasions, but the solemnity and significance of the ANZAC Test and the 100th anniversary of Gallipoli called for something much more restrained and respectful. We think the addition of the gold accents, subtle though they are, make this shirt feel special, without going over the top.